Can You Trust User Generated Mapping? A couple of days ago The Next Web ran an interesting and detailed article about the rise of Open Street Map and their ongoing attempt to compete with Google Maps as the go to mapping solution. Open Street Map data has achieved several notable successes as companies have switched from using Google data to theirs, but the critical question is whether the data is any good? I have a bit of a love/hate relationship with user generated mapping solutions. 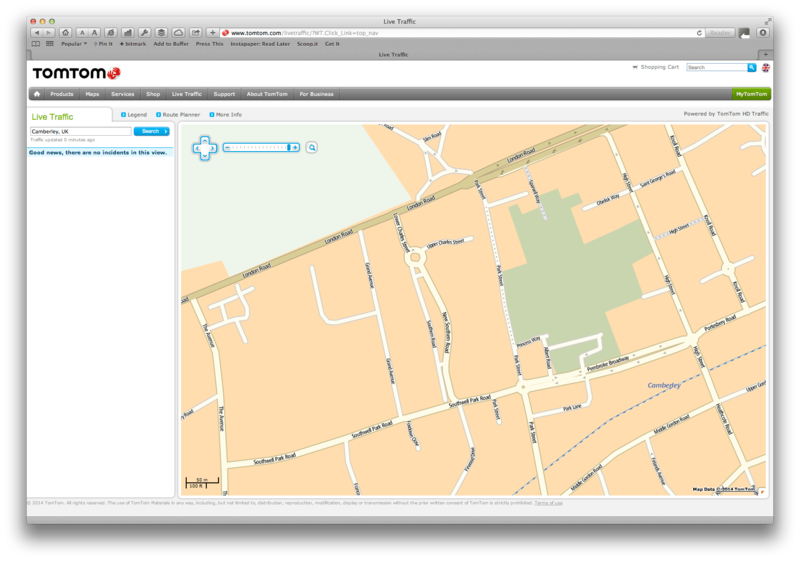 As you will see elsewhere on my blog I’m running Open Street Map based maps on my handheld GPS, and my satnav of choice is Waze, which although it doesn’t use Open Street Map, uses maps made in a similar way with user generated mapping. The strength of both platforms is that anybody can edit the map, so problems get solved a lot quicker than errors in the major suppliers maps get sorted, but that is also their biggest weakness. I’ll give an example, a couple of weeks ago I was driving to work, and I came across this on the map just south of Eversley, a route I drive most days. 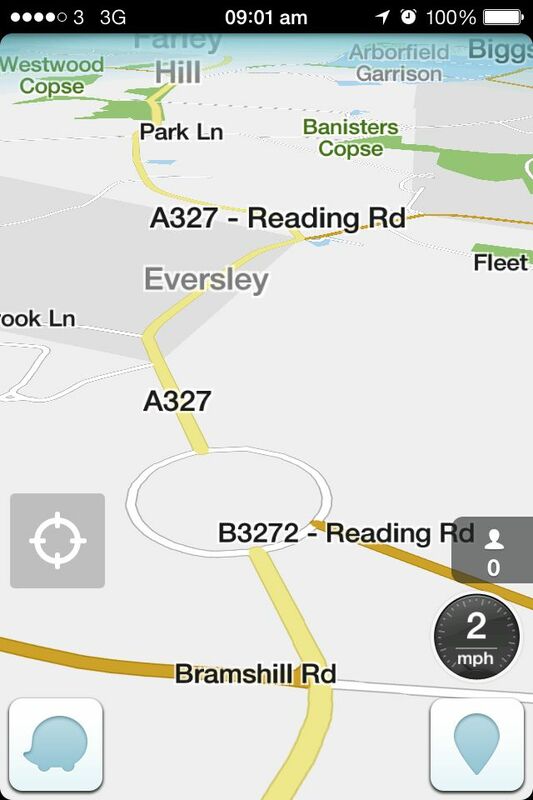 To explain what you’re looking at, the map was showing that the roundabout where the B3272 splits from the A327 was about five times as big as it actually is, and was a residential street rather than a main highway. Getting home and taking a look on the Waze map editor confirmed there was a problem with the map data. 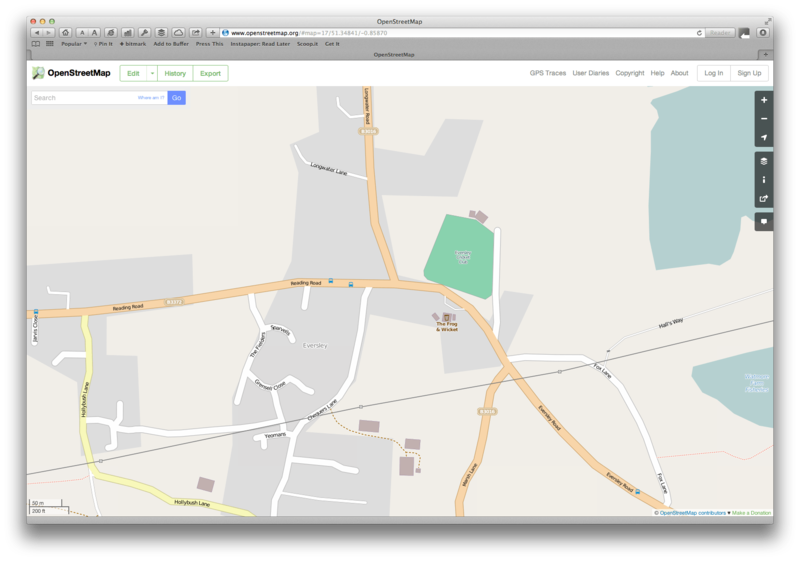 What you can see on here is the editor view overlaid on a satellite view of the same junction. The roundabout is highlighted in red which indicates that there is missing location data for the road. Checking the road elements the new roundabout had been put in place by a new user who had done little editing before, and who had obviously accidentally damaged the map at that point, messed it up and left it. The problem of course being that nobody else spotted it until it was too late and the update went out to all the users. To the credit of the community shortly after this screenshot was taken one of the higher level editors sorted the problem as needless to say it got reported fairly quickly, and unlike errors in TomTom or Garmin maps the fix appeared on my copy of Waze within three or four days. 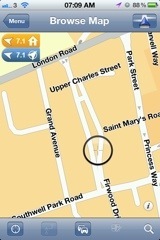 Of course the professional mapping firms don’t get it right. 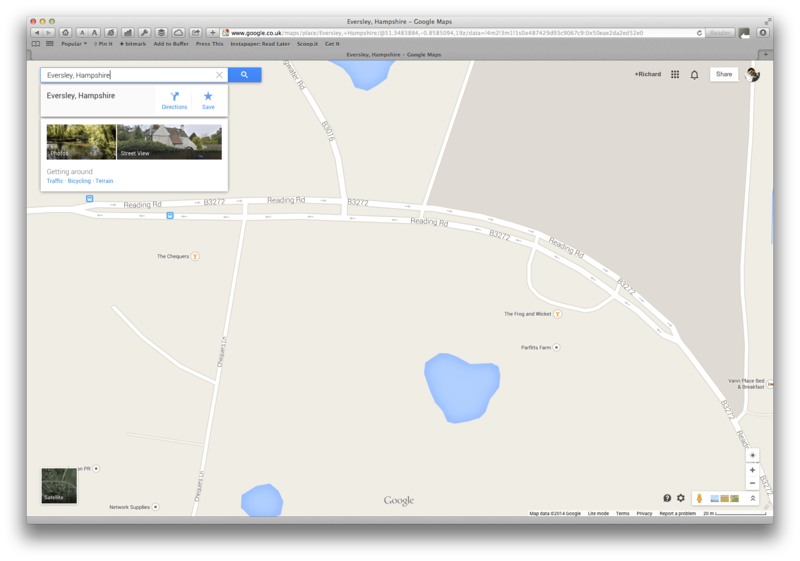 For example this is the dual carriageway that Google Maps has on the B3272 in the middle of Eversley Cross – if you live near Eversley you’ll be forgiven for having missed it previously. What they have now is a bit of an improvement over what they had originally where the westbound carriageway followed the footpath across the front of the houses fronting on to the green. 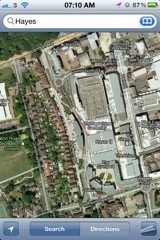 There is also this long standing problem in Camberley on the TomTom maps. Again it’s been improved over time but it still incorrectly labels Charles Street as New Southern Road, and still has two connections at the northern end of Southern Road that just don’t exist. 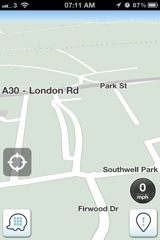 In both of those cases, Waze and OpenStreetMap are right, this is the Eversley Cross dual carriageway on OpenStreetMap. So can you trust User Generated Mapping? I’d say that you can trust it to the same extent as “professional” mapping – both have errors and problems and you need to be aware of that and use your common sense using them as you should with any map, even one with the long established reputation of the paper Ordnance Survey maps. 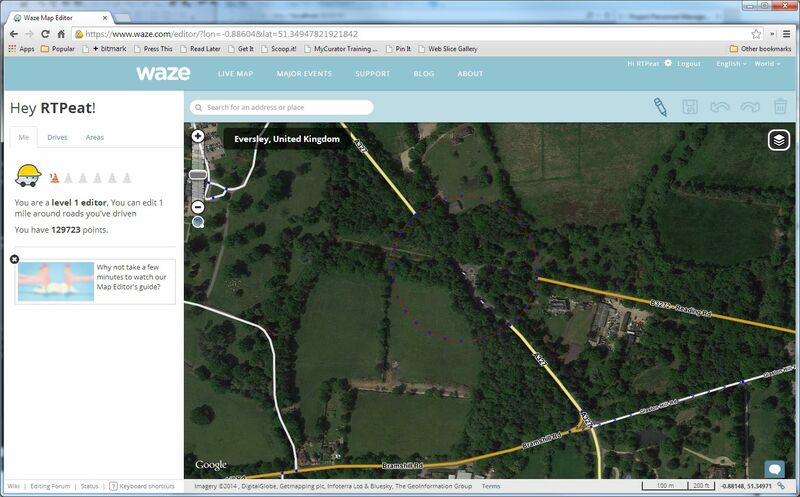 The key advantages that user generated mapping can bring is that if there are mistakes they get sorted quickly, and new roads or changed layouts will often appear in Waze or OpenStreetMap long before they turn up in one of the periodic updates for a regular satnav.